The 48-year-old Congress chief said that 25 crore poor people (5 crore families) in the country will get financial assistance of Rs 72,000 per annum if his party is voted to power at the Centre. 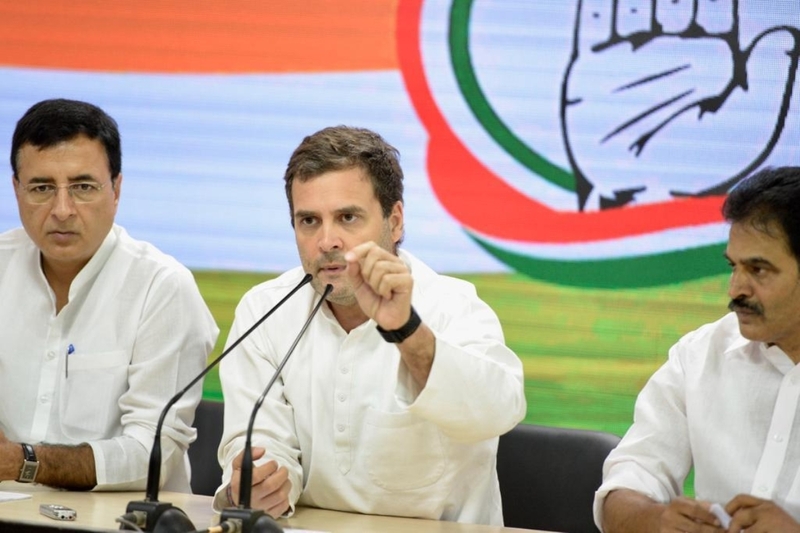 In a major announcement days before the Lok Sabha elections 2019, Congress president Rahul Gandhi on Monday announced a scheme that guarantees minimum financial assistance to the poor. Addressing a press conference on Monday at New Delhi, the 48-year-old Congress chief said that 25 crore poor people (5 crore families) in the country will get financial assistance of Rs 72,000 per annum if his party is voted to power at the Centre. According to Gandhi, the party’s promised Minimum Income Guarantee scheme called Nyuntam Aay Yojana (NYAY) is economically feasible. The name, NYAY – an acronym that means Justice in Hindi – was reportedly coined by his sister Priyanka Gandhi Vadra in Ahmedabad. “It is not acceptable to the Congress that there is poverty in India in the 21st century. This Minimum Income Guarantee will be the final assault on poverty,” he said. “The minimum income line is Rs 12,000. Those who have income less than Rs 12,000, we will top up (their income),” he said. “Five crore families and 25 crore people will directly benefit from this scheme. All calculations have been done. There is no such scheme anywhere else in the world,” Gandhi claimed. He, however, refused to take any question other than the scheme. According to reports, the money will be directly transferred to the bank accounts of 20 per cent of the poorest in the country. Gandhi’s announcement will reportedly cost the exchequer Rs 3.6 lakh crore – a massive cost that has made critics raise questions on Congress’ election promise. “Rs 72,000 per year to each of these households means needing Rs 3.6 lac crore. India’s GDP is 188 lac crore. Minimum Universal Basic Income would thus be 2% of GDP. 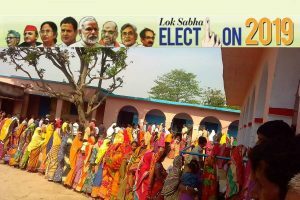 As an election promise, it is devastating,” wrote writer Anand Ranganathan on Twitter. 20% of India’s poorest households translates to 5 crore households. Rs 72,000 per year to each of these households means needing Rs 3.6 lac crore. India’s GDP is 188 lac crore. Minimum Universal Basic Income would thus be 2% of GDP. As an election promise, it is devastating. Gandhi, however, said that the scheme will be implemented in phases. “Scheme will be implemented in phases. The fiscal repercussions have been analysed. If Narendra Modi can give Rs 3,50,000 crore to India’s richest, then we do the same for India’s poorest families,” he said taking a jibe at the PM.